Football and sports seem like a huge right turn from artistic blacksmithing, but there is a family connection. With two stepsons who have been head coaches in large high schools and junior colleges for many years, I have traveled the southeast photographing football games. The one part of the game that bugged me was the chaotic systems teams used to get their gear to the sidelines. So Brian and I were talking after one game about the problems he had getting team managers to keep up with all of the essentials. I thought about it a while and we talked over an idea and did some fine tuning. 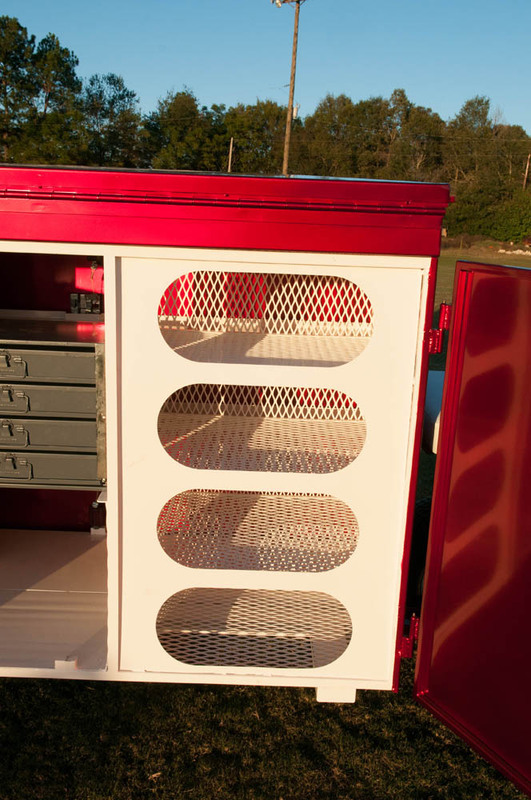 On top of storing and transporting the equipment, it made sense to design the football storage so it could also be used to keep the balls dry in wet games, which is a huge bonus. Adjustable shelves for headset, computers and electronics. Bin boxes for parts and trainer needs. 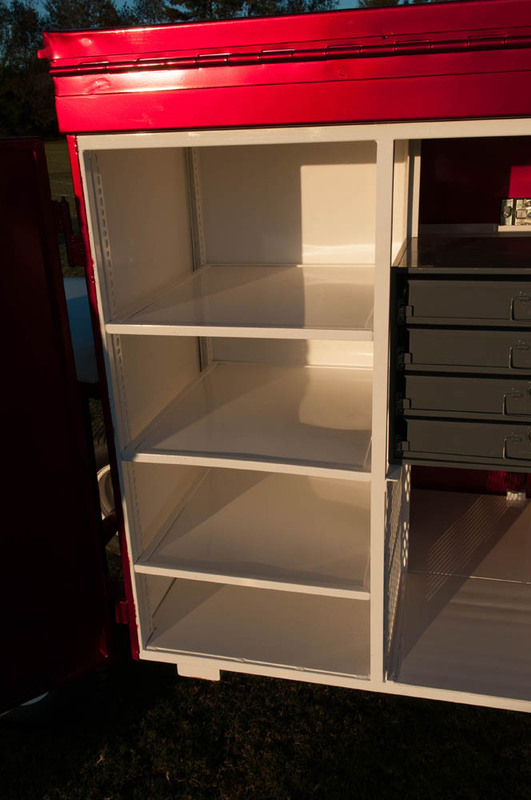 And plenty of room on the back side for towels and uniforms. 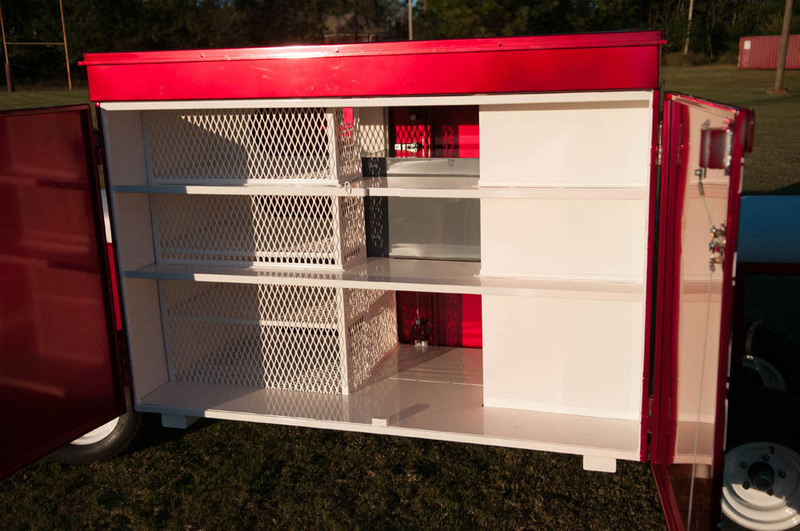 The top opens to hold larger items like kicking nets, tables, or television monitors. The seats on the ends are great height for the trainer. But the best part of the War Wagon is its presence. A giant advertisement to the opponents and their fans that this team is prepared from the ground up. In a game where every psychological advantage is a big plus, this traveling billboard is not low key. 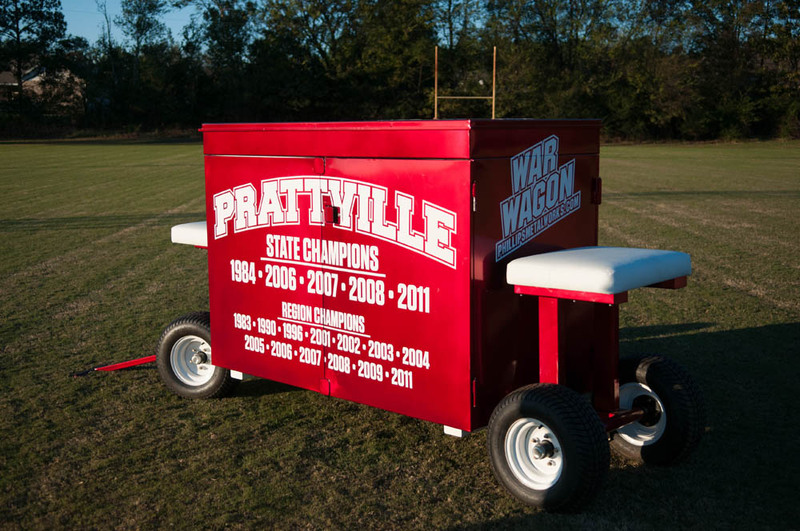 The question begging to be answered is how Chad got his name on the trailer after Brian and I did the initial kicking around. No big drama, just Brian stepping away from head coaching until he gets his sons through their high school experience. So far Brady (the oldest) is on a football scholarship in south Mississippi as their quarterback and Eli is making his mark as he heads into the 10th grade. 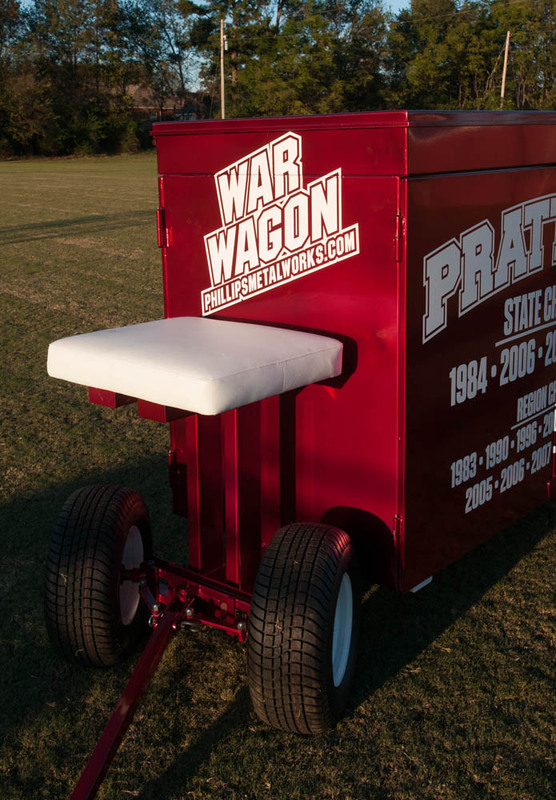 Once Brian is back to head coaching we may be working on the War Wagon 2. I am thinking TV monitors that integrate into the box and some more tricks. My friend Woody at Metal benders who made the initial skin and Packaging Machinery who provided the laser cut sheet metal work. 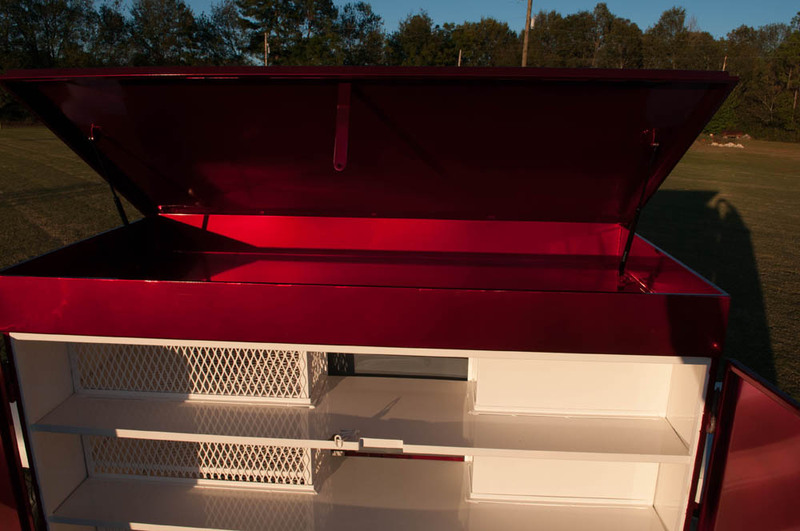 Prattville Powder Coaters for the candy red metal flake powder coat exterior and the white inside. And Rogue Wraps for the great graphics.